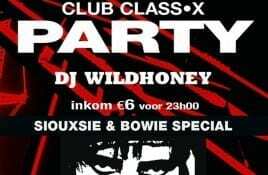 On Saturday March 9th the Stadsfeestzaal in Aarschot (BE) will host their annual massive New Wave Club Class-X Party. Music will be provided by DJ. 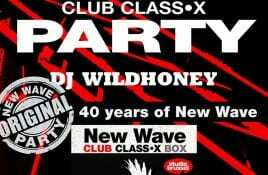 Just like each year we are giving away free tickets for the annual massive New Wave Club Class-X Party in Aarschot (BE). This year the. On Saturday April 1st the Stadsfeestzaal (Demervallei 14) in Aarschot (BE) will host their annual massive New Wave Club Class-X Party. Music will be provided. Update: All tickets were gone within a few minutes… the winners will be contacted tomorrow. On Saturday March 5th that Stadsfeestzaal (Demervallei 14) in Aarschot.